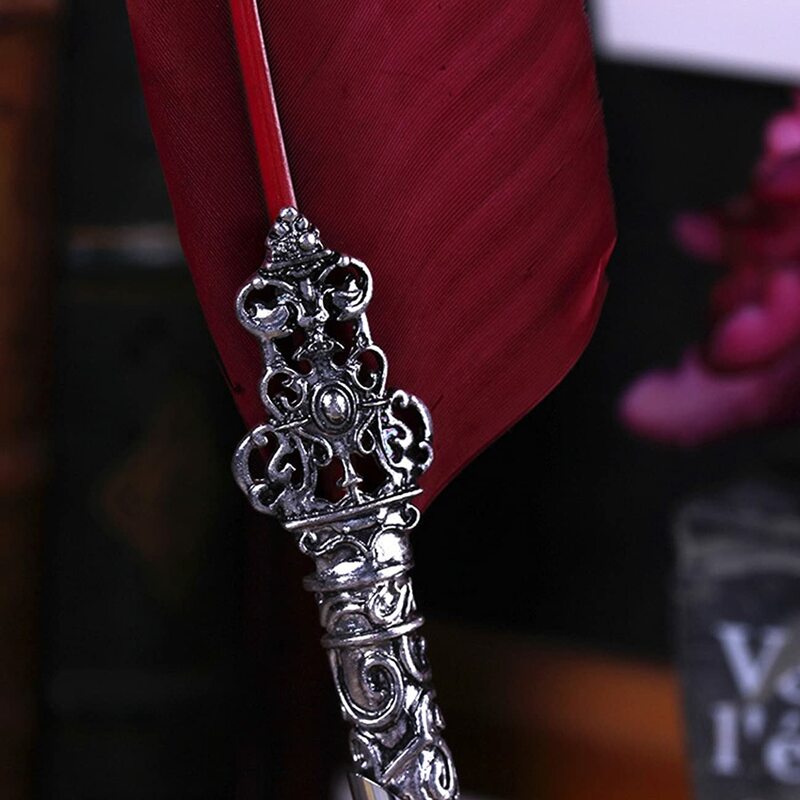 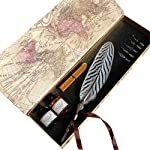 The feather pen is really easy to use and write beautifully.It will be a wonderful gift for writers of all ages. 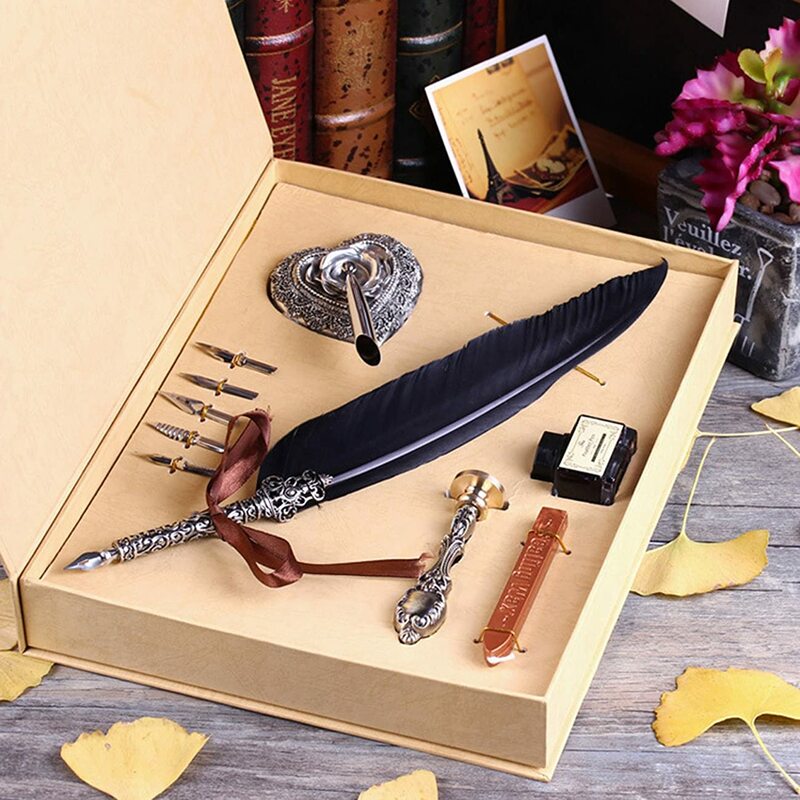 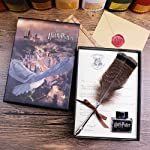 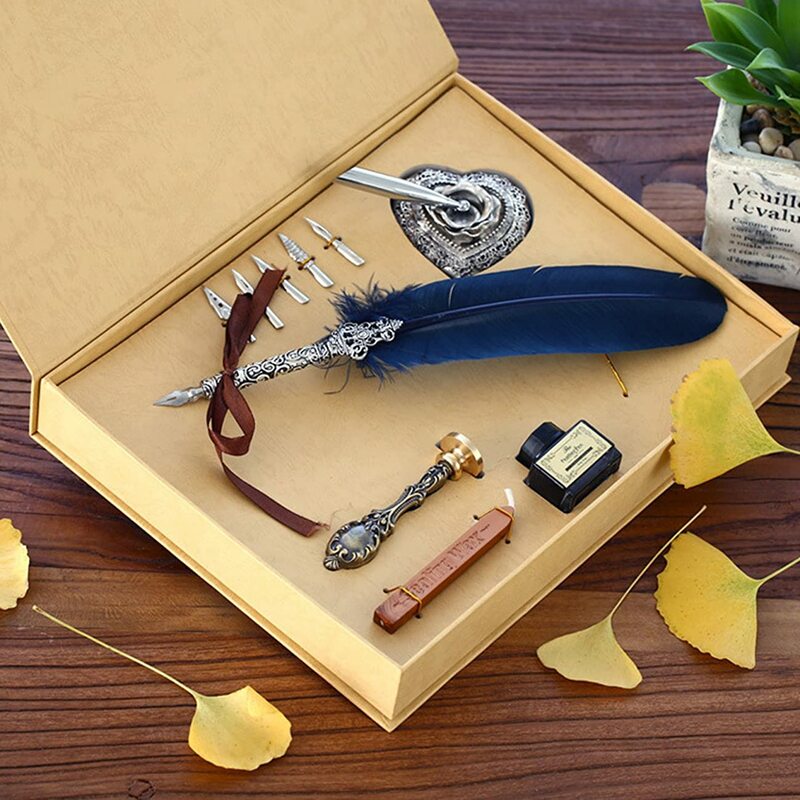 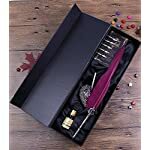 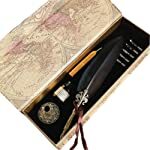 The set comes with 5 extra calligraphy nibs,1 feather pen( 3 colors delivery randomly),1 seal wax stick ,1 sealing seal wax stamp ,1 ink pot , 1 pen holder and 1 box. 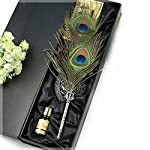 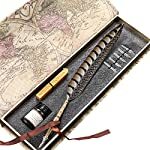 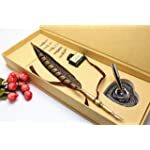 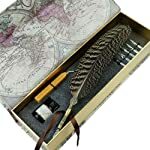 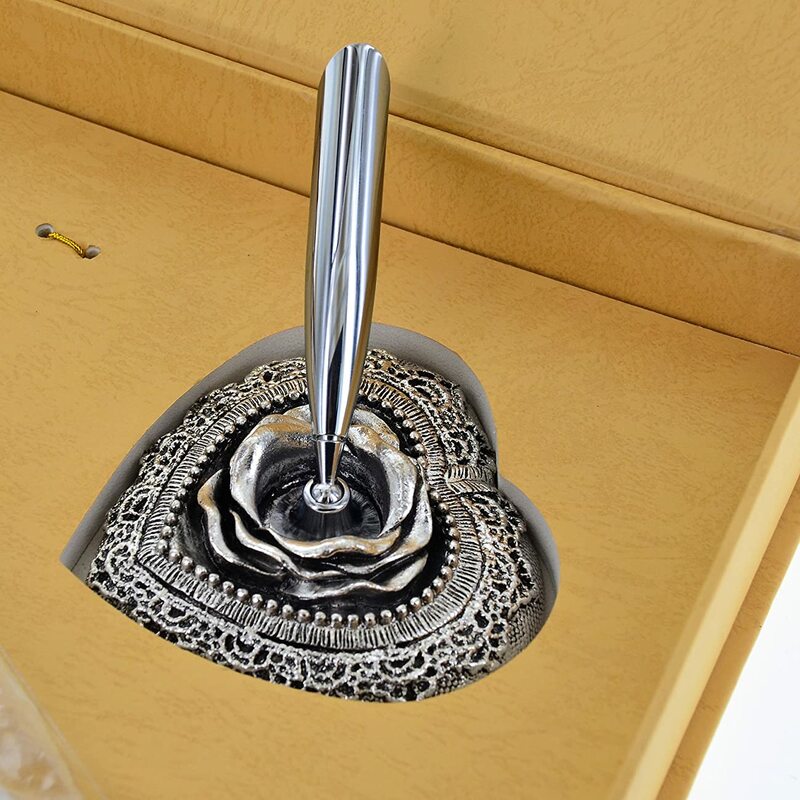 Perfect pure natural feathers pen set to bring you a different life experience. 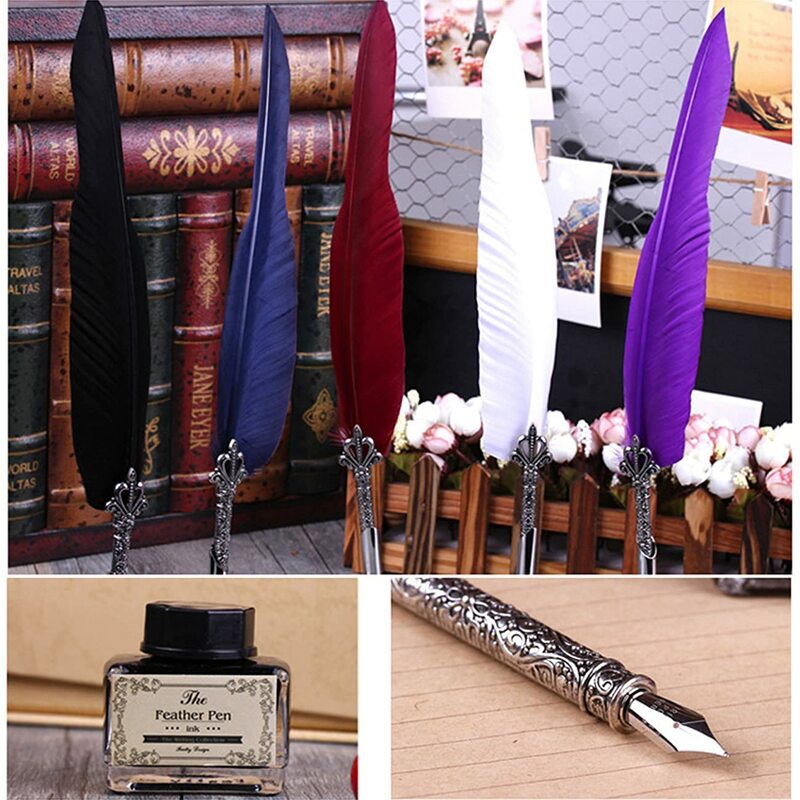 6 pcs of pen nibs in different size for your calligraphy English writing. 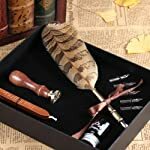 Enjoy calligraphy writing and creat your own impressive personalized greeting cards, invitations or any writing. 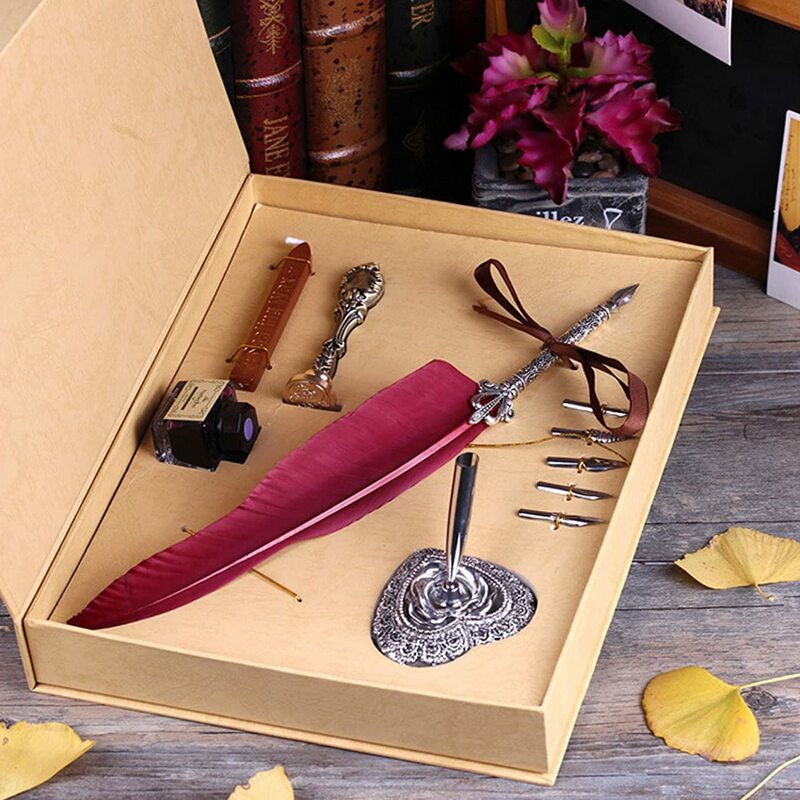 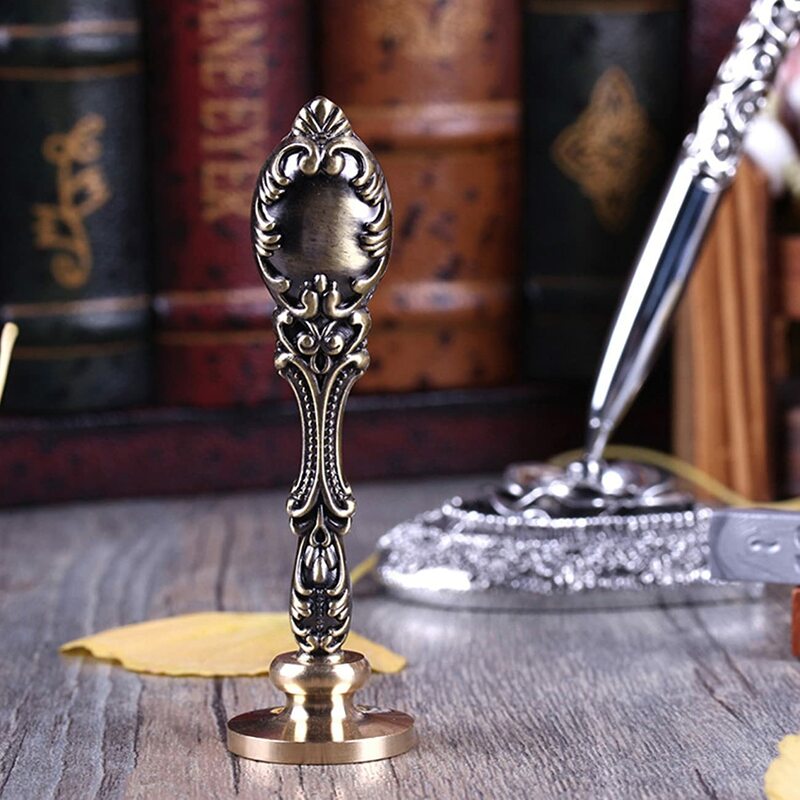 A traditional Antique pen can promotes your taste and status, because this is your own proprietary, does not belong to any others. 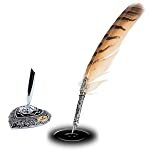 any text you sign is a contract between you and others, or you and yourself.